The show kicked off on a high note with a prestigious award for Anthem... The SoundStage! Network handed out their "Product of the Year" awards and the MRX 700 won "Exceptional Value" in the Electronics category! 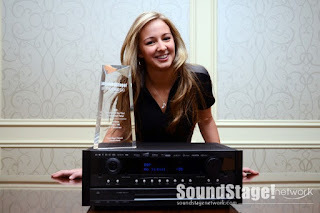 Anthem's Erin Phillips accepts the "Product of the Year" award from SoundStage! 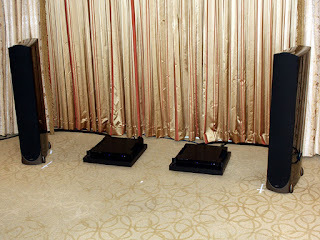 The M1 also performed in the Anthem & Paradigm 2-channel high-end demo. Creating quite the buzz, the demo room featured two Paradigm Reference Signature S8 floorstanding speakers driven by a pair of new Anthem Statement M1 amplifiers. 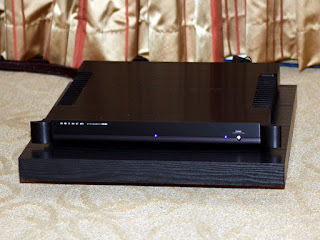 Until now, Class D amplifiers have been shunned in the audiophile world. The M1 enjoys all of the attributes of our award-winning Statement Class AB amplifiers but through exclusive Anthem technologies, goes far beyond the current capabilities of Class A, Class AB and prior Class D amplifiers in the market. The goal of the demo was to be a simple 2-channel demo so that we could let the S8s and M1s shine and we can say with confidence, they did just that. That about covers what was new and exciting at CES 2012 for Anthem, however, the coverage was endless including many videos, photos etc. We encourage you to do a Google search to find out all the details from differing perspectives of the show. Click here! for CE Pro's "Best of CES 2012"
Click here! 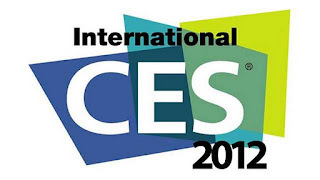 to read a summary of CES 2012 Paradigm coverage.